DeVant has joined the Android tablet bandwagon, and has recently announced its first Android tablet lineup – the DeVant DTab. It runs on Android Jelly bean, features 2 megapixel rear camera and is powered by a 1.6GHz Dual Core processor. The DeVant DTab comes in a 7-inch, 8-inch and 10-inch variant. Check out the rest of the features, specs, respective prices below. Devant launches its first Android Tablet designed for the Filipino young urban professionals. One touch to connect all of us. One touch to access your social networks, browse the web and download apps. Consumer’s adaptation on mobile devices has become a global mainstream phenomenon, with Filipinos at the forefront as one of the most active social netizens worldwide. The tablet has quickly become a necessity for everyone who wants to stay connected with family and friends through social media apps easily. Evolving from just a mobile internet and gaming device, the immense applications available on Google’s Play Store has also made the tablet an essential device for young professionals in the “Bring-Your-Own-Device-to-Work” era, making the tablet an “extension of their workplace”. Building on its familiarity with the needs of Filipinos, the leading technology brand DEVANT has finally unveiled its highly anticipated DTab, a sleek android device that packs power, portability, fun and value for money, all in one. Running smoothly on Android 4.1 Jelly Bean, the DeVant DTab is powered by the most advanced dual core processor with 1.6GHz of speed and a 1 GB RAM. In today’s market, anything less than 1GHz is not worth considering. 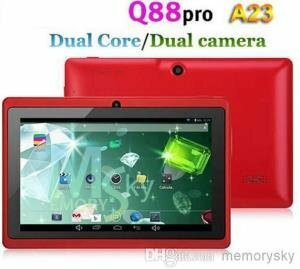 Its 1.6GHz clock speed is also, a significant improvement over other tablets, which only runs on either clock speeds, between 1.0 GHz and maximum of 1.5 GHz. The DTab presents the ideal speed for multitasking as you can easily switch and run multiple applications without any slowdown or noticeable lag. Because everyone values space, the DTab comes with 16GB of storage space plus a micro SD card slot (up to 32GB) that lets you store music, videos, eBooks, and install hundreds of applications and games from the Play Store, and still leaves you with enough space for those photos you capture using its front and back cameras. The DeVant DTab is also perfect for watching videos on the go with its high-resolution 1024×768 IPS (in plane switching) display available on the 8-inch DTab. IPS panels display more consistent and accurate color from all viewing angles bringing out the best in your internet-surfing, movie-watching, gaming and more! DeVant DTab also has an HDMI output so you can save movies in your tablet and simply plug it into your big screen TV for a more cinematic experience. The DTab is available in three sizes. One is the value-for-money 7-inch, the other is the ultra portable 8-inch and the largest is the DTab 10-inch version for those who want it big for office presentations. Quickly connect to the Internet via WiFi and stay updated with your social networks with just one touch and transfer files quickly via the DTab’s Bluetooth capabilities. Filipinos love taking photos and posting it on their social media accounts. And because Devant knows this as a fact that’s why they’ve made DTab equipped with a back camera for shooting and a front camera for those who love taking their selfie shots. Filter it, upload and let people see those perfect smiles that are natural to everyone. With Android OS of the DTab, anyone can be photographers with numerous number of photography applications available for download in Google’s Play Store. 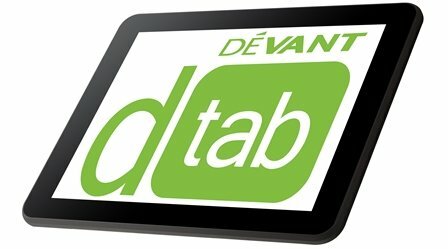 A tablet like the DeVant DTab is so sleek and handy. Getting in touch to Social Media was made a lot easier. The answer is just right in your fingertips. DTab is powered by the latest version of Android OS, the Jellybean 4.1. You can freely download apps to connect you to Social Media. Now getting updated and updating your status on Facebook, Tweeting your whereabouts, and posting your latest photo on Instagram is effortless with the convenience that DTab offers. The DeVant DTab is also a great working companion. Its efficiency work wonders–thanks to its office support application. Now you can go out and not worry about your deadlines. It is very convenient and helpful especially when you’re a “To-Go” man who’s always on his feet. With the DTab, staying connected and being updated is just a matter of touch, letting you bring your work anywhere and letting you play anytime. The DeVant DTab lineup looks like an entry level Android tablets. The Devant DTab 701 or the 7-inch model has a suggested retail price of Php5,995. The DeVant DTab 801 8-inch is Php 7,495 and last but not the least, the Devant DTab 101 10-inch is priced at Php 10,995. The tablets will be available in the following days or weeks to come, just in time for the Holiday season.